From above of its two sizes, Kit can teach a lesson about design and the use of materials. 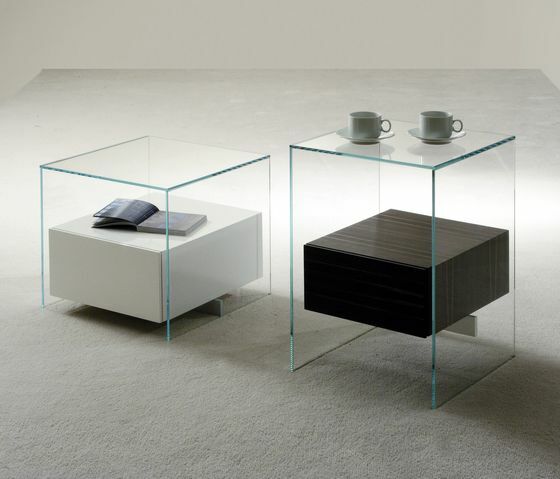 In fact, with the gracefulness of its transparent glass structure, it mounts a wooden or lacquered drawer. It is supported and lives thanks to a metal bar which is as invisible as indispensable.